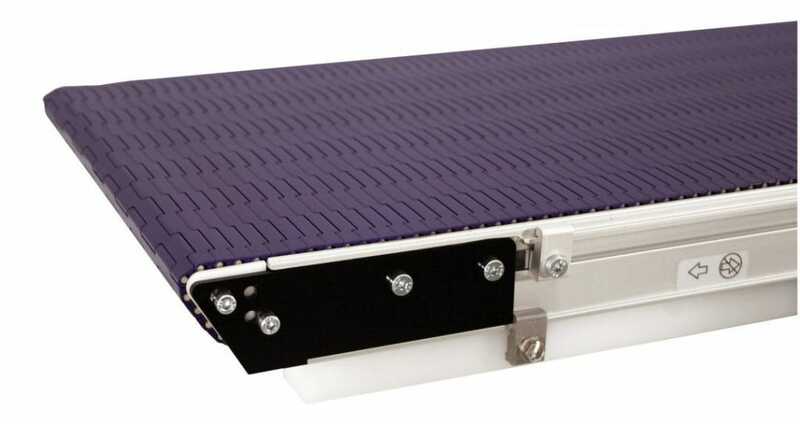 Our 2200 and 2300 Series low profile belt conveyors now come with a new modular plastic belt small-pitch option that provides nose bar transfers as tight as 0.31″. 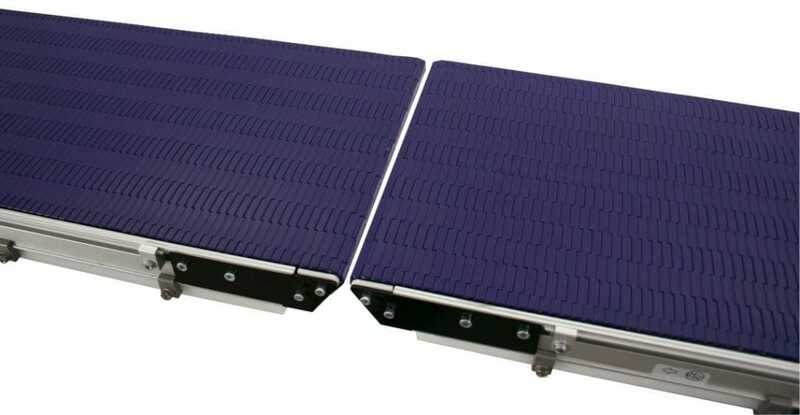 The tight nose bar transfers combined with the industry-leading compact conveyor design makes this offering an ideal solution for in-feed and out-feed to machinery as well as unit handling within the machine. 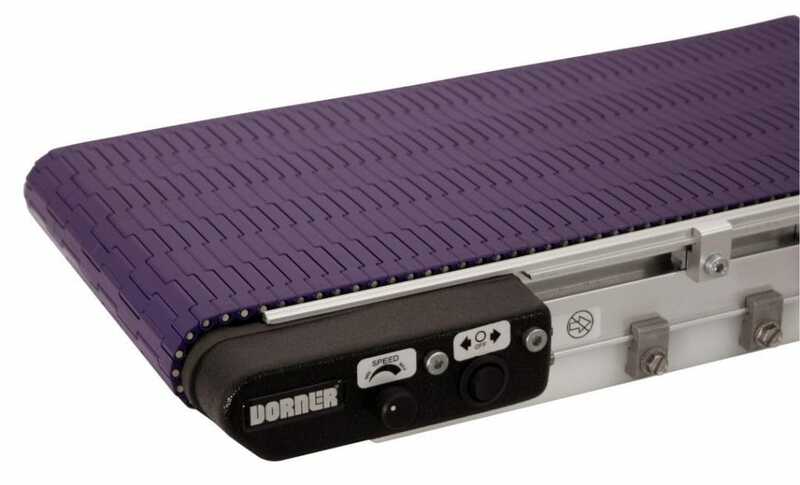 While traditional conveyors can transfer larger items with ease, the new modular plastic belt small-pitch option provides a nose bar for product transfer of smaller items, which is often necessary within the industries and applications the 2200 and 2300 Series serves. A tight nose bar transfer is ideal for applications that involve small parts transfer from one conveyor to another, or from a conveyor onto a production area for additional assembly/packaging. 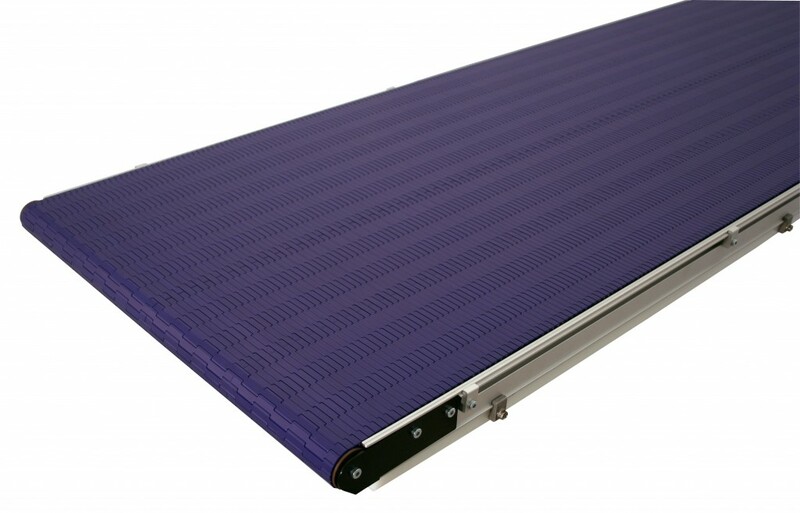 Nose bars also allow for additional clearance around the end of the conveyor, making the end more accessible and creating room for other machinery. Center drive with dual nose bar tails.